Traditional Chinese Medicine has a holistic understanding of the mind, body and spirit, and teaches that optimal health is reached when one lives in harmony with the Universe / environment. It is an ancient medical system and the first recorded history of TCM reaches back more than 2000 years. The goal of these TCM practices is to assist the patient in recovery by restoring the natural balance and harmony within the body. However, prevention of good health is also a key goal of Traditional Chinese Medicine and much emphasis is placed on educating people to live healthy and responsibly. Traditional Chinese Medicine is a broad range of medicine practices: herbal medicine, acupuncture, acupressure, cupping, massage, moxibustion, tuina, and Qigong exercises. These practices helps the patient to create harmony within the body by restoring the flow of Qi / Life Force. For an overview of “The Five Elements” and “TCM Terminology”, see tables below. Why is TCM still relevant today? People in the western world are taking great interest in this ancient health care system, despite the development of western medicine and modern technology. Why is TCM, a 2000 years old healing system, still relevant today? In 1972, China opened up to the western world, and as a consequence TCM spread very quickly to the rest of the world. People became very interested in this natural way of healing that TCM provided, especially those who had experienced side effects from western treatments and prescription drugs, or couldn’t get cured by the conventional western medicine. Today, there are millions of people in America and Europe who are suffering from chronic / incurable ailments, and are hoping for alternative ways to heal, especially in cases where the conventional western medicine are unable to assist. TCM has a reputation of helping people with ailments that has been diagnosed as chronic and incurable. So what is the secret of TCM? TCM approaches healing completely differently than the western medicine. All rules of human potential changes with TCM, since it considers the Life Force, called Chi / Qi to be the force behind life and healing. According to TCM, a body in balance with this Life Force (Chi/Qi) can heal itself. TCM helps balancing the body so that the body’s own defensive and healing capacity can start working properly. Western medicine analyzes closely the symptoms of the patient and tries to find underlying causes, whereas TCM analyzes the whole body in order to find the root of the symptoms /disease. The symptoms are not viewed separately. Instead, the TCM practitioner analyzes the entire constitution of the patient by looking at each symptom in relationship to other presenting symptoms. TCM diagnosis includes the search of underlying disharmony patterns by inspecting the tongue and palpating the pulse. This holistic medical system considers both the psychological and physiological aspects to establish a ”pattern of disharmony”. In short, TCM balances the body and restores harmony. How does Traditional Chinese Medicine (TCM) work? Qi / Chi means vital energy. Qi includes prenatal Qi that is inherited from our parents and acquired Qi that is incorporated from food and air. For optimal health Qi should flow freely and smoothly throughout the entire body. Qi flows through energy pathways called meridians, according to TCM. Furthermore, Qi and blood are inseparable as the blood ”carries” Qi and provides nutrients for its movement, and Qi is the force that makes the blood flow throughout the body. 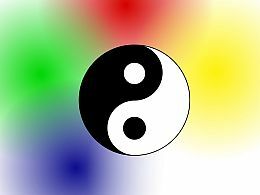 Health is represented as a balance of Yin and Yang, according to TCM. Yin and Yang are its opposites, and can not exist without each other. Each meridian pair needs to be balanced (Yin / Yang) in order to function properly. Furthermore, each of the five elements is associated to the 12 major energy pathways / meridians in the human body, see below. Note: The fire element has two manifestations each of yin and yang, compared to the other elements that only have one manifestation each of yin and yang. Also, the TCM concept of all Yin/Yang organs – including the “Pericardium” – differs from the Western medical concept. In TCM the “Pericardium” describes a set of interrelated parts, rather than an anatomical organ. Also, the “Triple Warmer” has no equivalent in modern Western medicine. Traditional Chinese Medicine diagnosis is based on overall observation and the methods include: asking about background (wèn), observing (wàng), touching (qiè), what is heard and smelled by the practitioner (wén). The two most important diagnostic tools are tongue and pulse diagnosis. TCM tongue diagnosis can present strong visual indicators of a person’s overall harmony or disharmony, and TCM pulse diagnosis can reveal the state of balance of the body as a whole (Yin/Yang, Qi, Blood), as well as the state of individual organs. Traditional Chinese Medicine requires considerable diagnostic skill, and TCM practitioners need a training period of many years to fully understand the complexity of symptoms and dynamic balances. Optimal health is achieved when there is a balance between Yin and Yang within our bodies; when the five elements, and meridians are balanced. To stay healthy and avoid mental, emotional and physical ailments, we may need to make adjustments in life, through diet, routines, physical and mental exercises etc. Herbal medicine, acupuncture, acupressure, cupping, massage, tuina, moxibustion, and Qigong exercises, are all practices within the TCM that can help create harmony and balance within the body, by restoring the flow of Qi/Life Force. What is Traditional Chinese Medicine (TCM) used for? Traditional Chinese Medicine has proved beneficial for promoting overall health. It stimulates the body’s own healing mechanisms and is used for various health conditions. TCM is said to be effective for chronic and degenerative conditions and age-related diseases. It is often used to treat allergy and asthma. Acupuncture is the most familiar TCM treatment method to relieve headaches, migraine headaches, menstrual cramps, chronic low back pain, fibromyalgia, myofascial pain, osteoarthritis, dental pain, post-traumatic stress disorders, and to help achieve pregnancy. Traditional Chinese Medicine is also used to treat anxiety, depression, nausea, vomiting, tennis elbow, carpal tunnel syndrome, irritable bowel syndrome, and Parkinson’s disease. It can also help with addictions to cigarettes, cocain and heroin. What are the benefits of Traditional Chinese Medicine (TCM)? There are many benefits of TCM. It is effective, affordable, and with no side effects, compared to Western medicine. TCM prevents illnesses and promotes and maintains health. Traditional Chinese Medicine cures common ailments and is highly effective on long-term, chronic patterns. Traditional Chinese Medicine sees the person as an integral mind/body organism. Rather than treating a general condition, it focuses on the diagnosis and treatment specific to the individual. Furthermore, TCM does not treat the symptoms itself, but the root cause of the symptoms.